Free Spotify users pay attention: from now on you can determine the number order in fifteen personalized playlists. Also, streaming will cost you fewer data thanks to a saving mode. Spotify is going to tackle its free Android app for the first time in four years. During a press conference in New York, the originally Swedish company announces that users who do not pay can from now on decide which song they want to listen to, without being condemned to the shuffle function. This becomes possible in fifteen personalized playlists, including Daily Mix and Discover Weekly. These playlists contain a total of about 40 hours of music or 750 songs. Concretely, the change means that from now on you can select a song from the playlist without sticking to the random sequence of shuffle mode. However, Spotify is not completely free of charge: advertisements remain available. You also have to listen to all other albums and playlists via shuffle-mode. In addition, Spotify announces a data saving mode, which means that the app uses up to 75 percent less data. This is particularly useful for people with a small internet bundle. It is not clear whether this affects the audio quality. To be able to download songs for offline use, you must still be a paying member. Finally, the new Spotify design, which was available to some users in recent weeks, will be rolled out to everyone in the coming weeks. 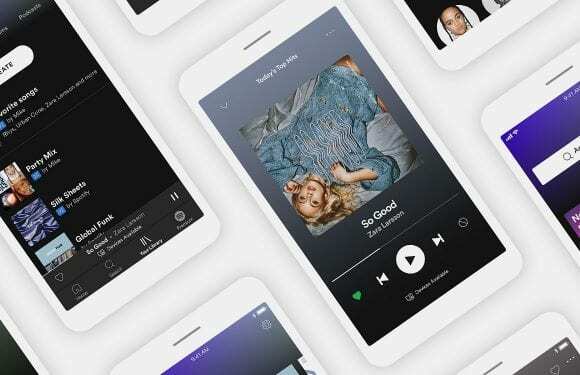 Spotify focuses on the additions mainly on bringing in new users, at the expense of competitor Apple Music. Unlike the Apple service, Spotify does have a free version and hopes to eventually attract paying members in this way. When the Swedes do not take action, they lose their lead in the United States in no time, according to several analysts.